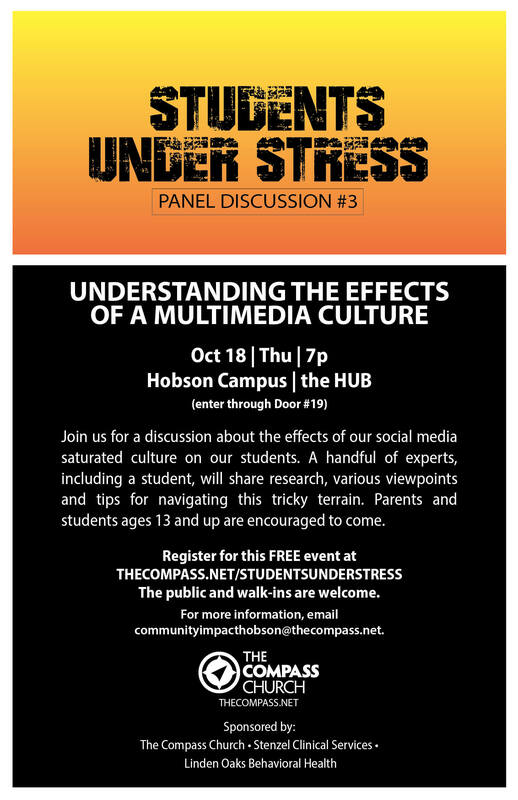 Grant will speak on a panel at the The Compass Church‘s Hobson campus next Thursday, October 18. The subject is on point for teenagers and parents of teens: it focuses on the ups and downs of social media and screen time. Click here to register!